For non-traditional students interested in American History, little sounds better than finding online distance learning for a PhD in American History. 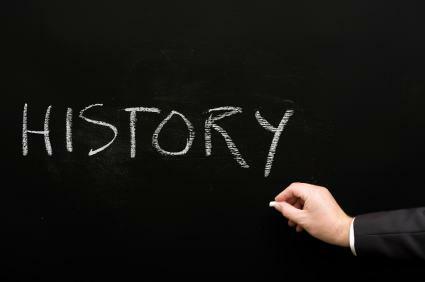 Unlike other disciplines like music or science, American history does not require much practical, hands-on learning. In addition, for field trips and in-person experiences, students can always explore their own cities, as each city has its own history. As a result, online distance learning for a PhD in American History lends itself well to the discipline, though students still cannot earn a PhD in the field solely online. To some, these types of topics might sound like a real downer, but to those who are interested, American history really comes alive. What Can I Do With A Degree In American History? Sam Houston University: Though the school does not offer a full degree online, there are numerous courses that students can take online in any given semester. The University of Phoenix: This online-only school allows students to take numerous history courses that can count towards a PhD or undergraduate degree in history. University of Nebraska Kearney: Students looking for graduate-level courses can find numerous online options through UNK. The University of North Carolina Online: Unlike other schools, this online degree program allows students to take courses in numerous areas of American History, including a focus on military history in the country. Norwhich University: For a bit of a switch, students can work towards graduate degrees in military history at this military school with a focus on the United States. American Public University: If you're looking for a school that provides numerous history options, look into the American Public University System. This school provides learning opportunities where students can really hone in on the area of history they would like to learn about rather than a much broader education. Fordham University: One of the best known private schools, especially in the New York City area, Fordham offers numerous distance learning courses that can contribute to a degree in American History. While the time hasn't entirely come to earn a full PhD in American History on the Internet, that doesn't mean you can't take considerable steps towards a PhD through distance learning. Online learning can especially be helpful to you if you need prerequisite courses. Even if you are looking to get a degree from a traditional college, online learning courses in American History can provide an entirely different learning opportunity.